At the start of the January over 20 people stepped foot on the sands of Machynys Bay early on a cold, crisp Saturday morning. Not knowing what was in front of them, they were about to embark on a two month experience that would change their lives for the better. The January challenge is usually well attended as everyone is looking to overcome the Christmas bloat and kick start the year off the right way. We were blessed once again with this years intake, a mix of previous challengers and newbies, that really wanted to make a difference to their lives. The commitment and enthusiasm they showed was a joy to behold. We always say that it’s the people that make the challenge and this group always encouraged, supported and inspired each other. Attendance was great with Carol, Charlotte and Clare hitting every single session, activity was high and the variety of foods that were being consumed meant that this group was continuously bouncing off each other. Sessions were fun and it was great to see people enjoying working out for the first time in their lives. Come weigh in day we knew that the hard work had been put in and the results would be good. 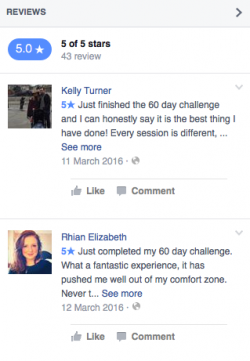 As a group they managed to shift over 130kg in just 60 days. 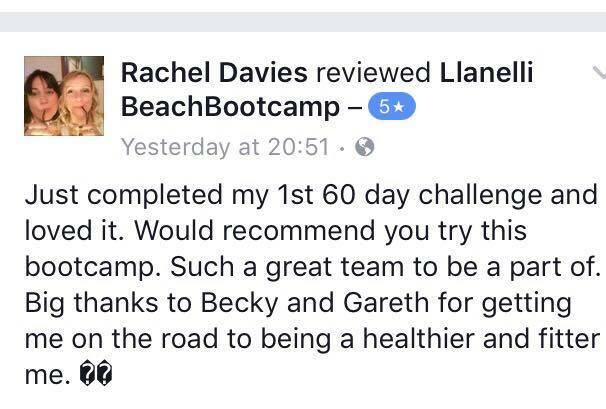 Everyone was consistent with their weight loss and body fat reduction, with every single person moving in the right direction. The biggest weight loss went to Sarah with 10kg and 4.5% body fat reduction. Fitness wise people also made great strides over the 60 days with Rachel knocking 90 second of her 400m run, helping her claim the “most improved fitness” prize. 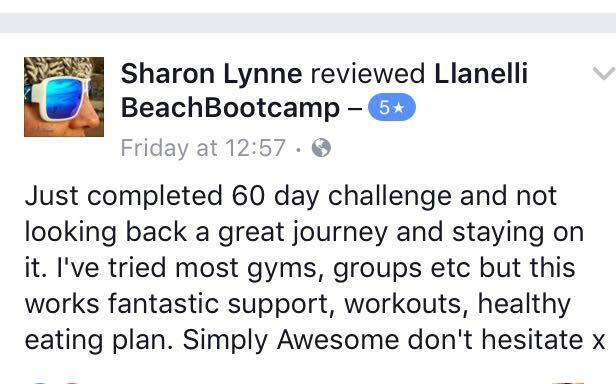 We have been running the 60 Day Challenges for 3 years now and it shows that if you live and breathe the challenge it gets you results. Our next challenge starts late April so if you are looking to become a better version of yourself then get in touch to secure your space. On April 22nd we will be taking part in the Llanelli 5km Park Run on the coastal path with our Spring Social taking place in the evening – venue to be confirmed. We’re also now taking names or the invncbl race in Pembrey on July 1st. We’re looking to take advantage of the early bird price and with our group discount we’re hoping to keep the price as low as possible (around £35). 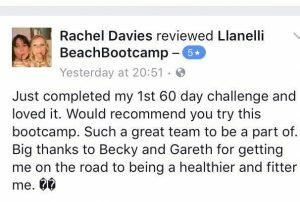 AS always we’ll be on the beach for bootcamp every Friday and Sunday, plus our sprints session takes place every Wednesday. If you’d like to join us or just want some more information then please get in touch.